Extended Wear - Hearing Evaluation Services of Buffalo, Inc. Hearing Evaluation Services (HES) is proud to be one of the select providers to offer Lyric. Lyric is the world’s first and only 100% invisible hearing aid. 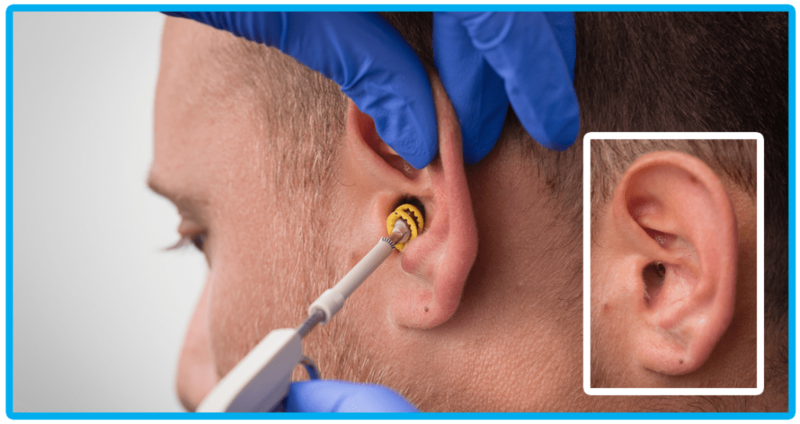 Unlike many other hearing aids, Lyric is positioned completely inside the ear canal, so it uses your ear’s natural anatomy to funnel sound to your eardrum. This unique design and placement helps reduce background noise and feedback to provide an exceptionally natural sound quality. Contact our office to find out if you’re a candidate. Schedule an appointment for a no-charge screening and risk-free trial with Lyric. For more information about Lyric, visit www.lyrichearing.com.